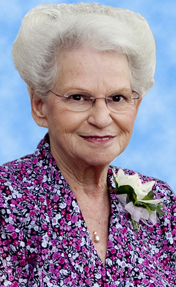 Services are scheduled for 2 p.m. Monday, Nov. 26, at West Main Baptist Church for Jennie Beth Ryan of Artesia. Ryan, 82, passed away Monday, Nov. 19, 2018, in Midland, Texas. Pastor Jason Kraft will officiate the services, with interment to follow at Woodbine Cemetery. Pallbearers will be Michael Combs, Jeremy Ryan, B.C. Martin, Kenton Puckett, Octavian Jackson and Gary Romine. Jennie was born Feb. 7, 1936, in New Orleans, La., to Joe and Bessie (Grantham) Broome. On Jan. 18, 1955, she married Joe H. Ryan in Jal, and the couple came to Artesia in 1971 from Odessa, Texas. Survivors include son Joe Ryan and wife Shirlene of Big Spring, Texas; daughter Karen White of Midland; special friends Belinda and Owen Puckett; sister Barbara McBee of Corpus Christi, Texas; eight grandchildren; 22 great-grandchildren; and numerous nieces, nephews, cousins, and extended family. She was preceded in death by her husband, Joe Ryan, on April 21, 1999; her parents; two brothers; daughter Cheryl Ryan; great-grandson Bryce Martin; and son-in-law Joe Bob White.